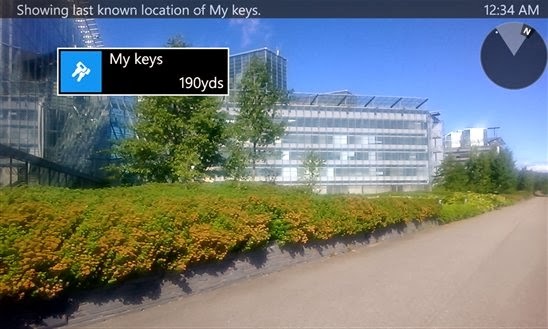 Nokia Treasure Tag app released exclusively for Lumia Windows Phones. The Nokia Treasure Tag app requires a Bluetooth Smart connection and a Nokia Lumia running the Lumia Black software update, and works with Windows Phone 8 devices. Whether you've lost your keys, misplaced your gym bag or forgotten what street you parked on, Nokia Treasure Tag helps you keep track of your belongings with intuitive visual and audio guidance. Simply put tags on the things you treasure most and install this app on your phone. Now if you leave something behind, you'll know where it is.